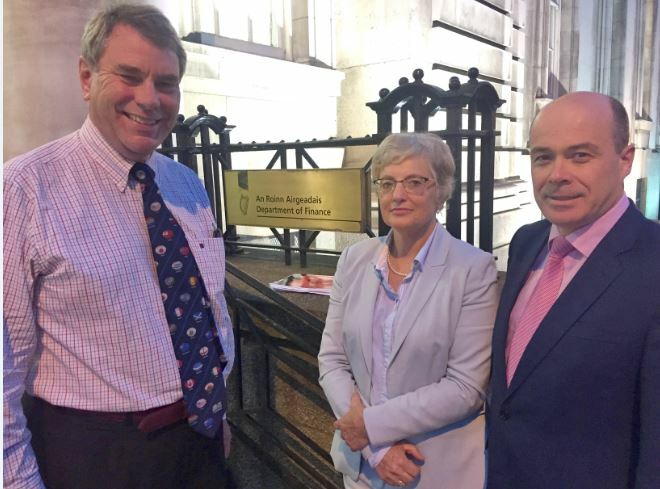 Minister Zappone has set out her goals at a meeting between Independent TDs and the Minister for Finance Paschal Donohoe. “Our discussions have focussed on what is right for the communities in Tallaght, Rathfarnham and Citywest. I have set out the need to put in place the capital to build infrastructure which will turn us into a ‘Smart City’ of the future. Priorities must be support for the Institute of Technology in Tallaght so it has the freedom to compete with other colleges nationally and internationally. We must build on the progress which has been made by increasing the facilities on the campus. Tallaght Hospital also needs to be supported. The development of an expanded Intensive Care Unit will benefit patients. However it should also be a world class beacon of innovation, healthcare and learning. Our hospital must continue to be supported to it meets its full potential. As well as these large scale projects there are also smaller works which require desperately needed funding. Knockmore Junior School, St Thomas JNS and Mount Seskin Community School must all be given extra support. Our youth clubs are enjoying increased funding with an extra €6m in grants announced only this week bringing total investment this year to €57m. This is money well spent. I have asked Minister Donohoe to ensure that at the very least this level of funding is maintained. Protecting the vulnerable is an important duty of Government. As Minister for Children and Youth Affairs I am keenly aware of the pressure on services which support victims of domestic and sexual violence. I want this to be addressed as a priority.